Amazingly clear resonance sound and quality! 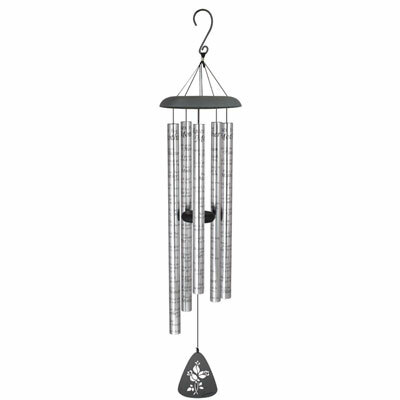 This is from the original 44" Sonnet Chimes Collection which is one of our most successful wind chime collections! The combination of clean sleek lines, adjustable strikers and heavy gauge center-pinned tubes printed with meaningful messages, poems, and songs have made them so. Our sonnet chimes have 5 heavy walled, center pinned tubes that emit deep tones. All aluminum construction, durable powder coated and anodized finish, and strung with industrial cord. 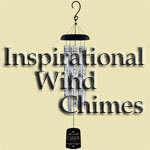 Each chime has an adjustable striker. Tubes are 1.25" diameter, sentiment is printed directly onto the tubes.